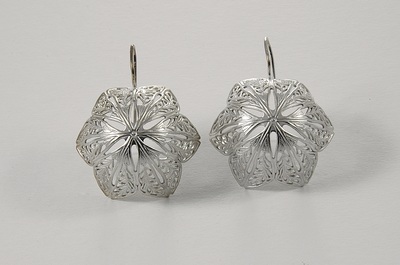 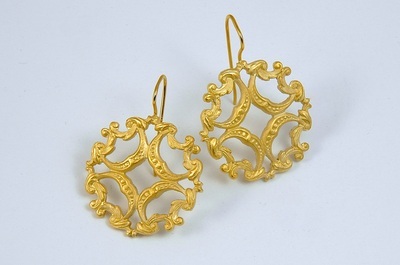 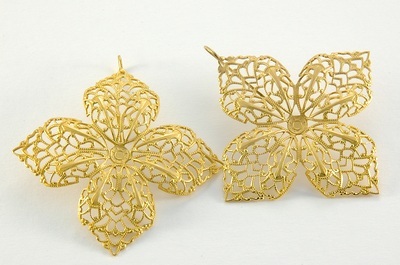 This is a sampling of the filigree earring collection, although there are multiple styles. 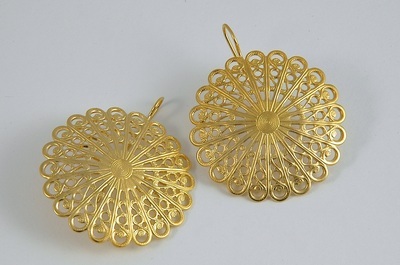 These are brass with sterling ear wires and plated with either 14K gold or sterling silver. 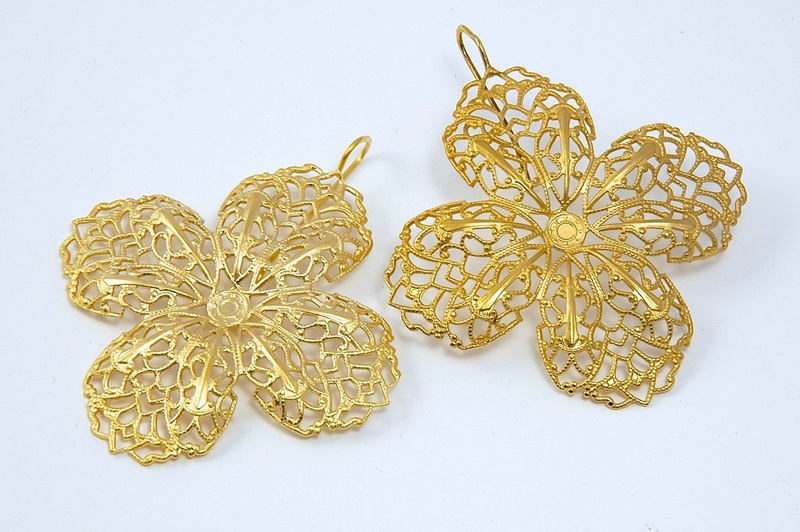 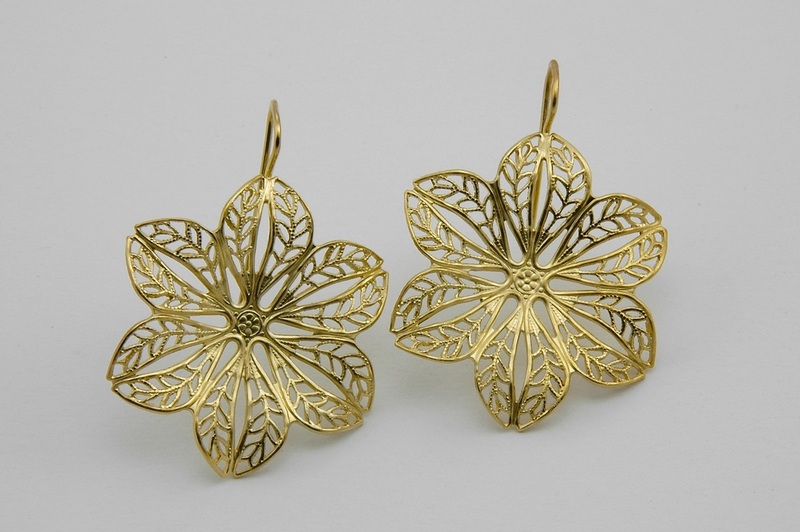 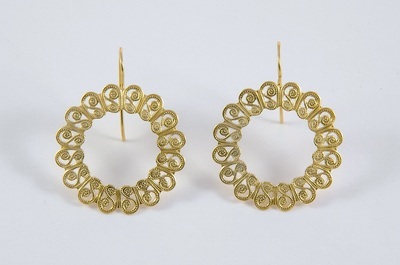 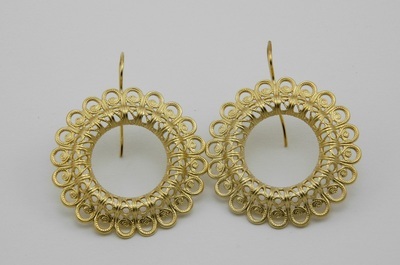 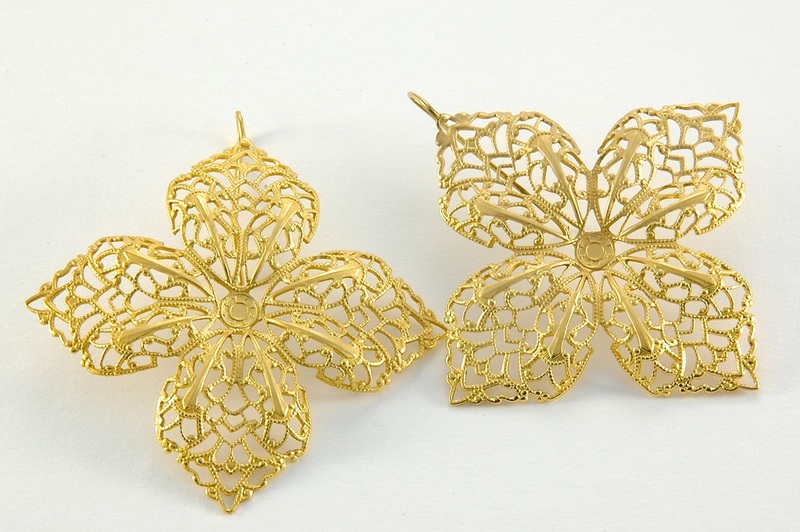 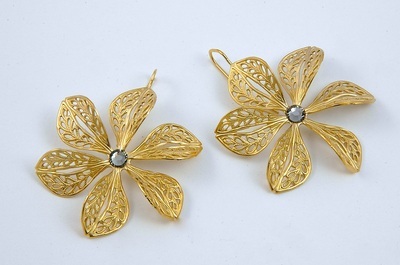 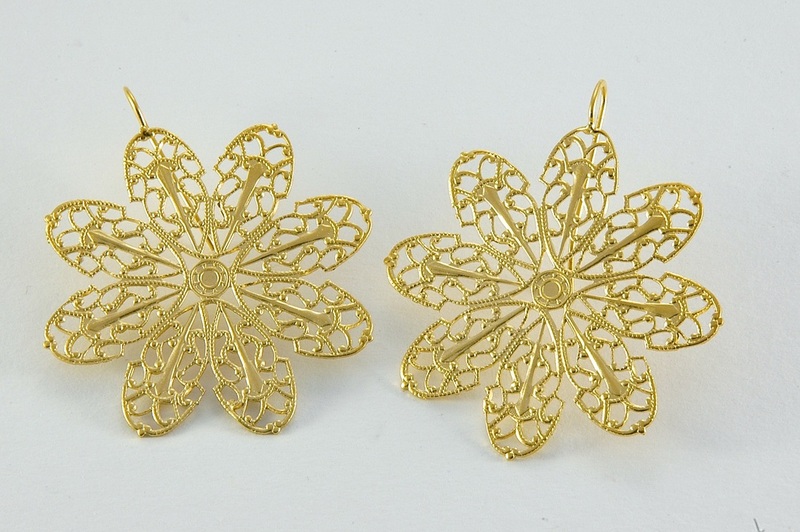 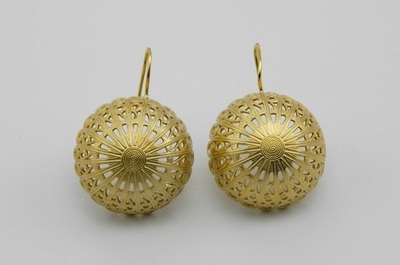 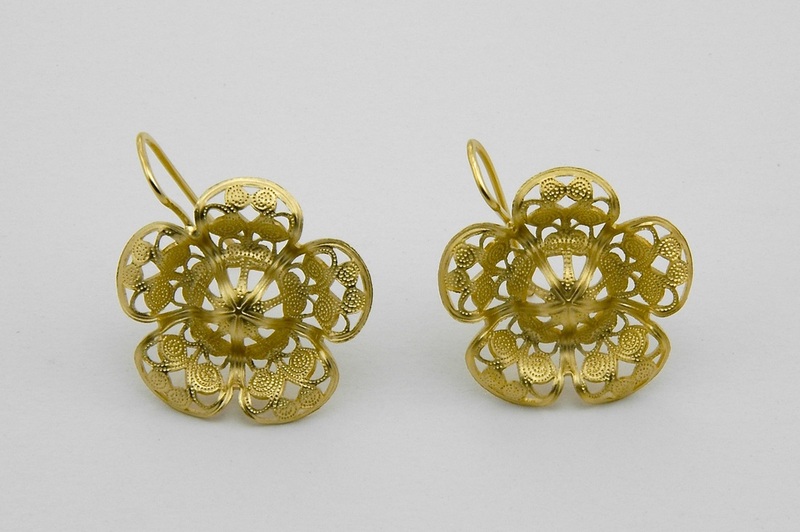 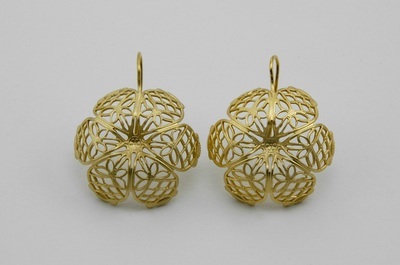 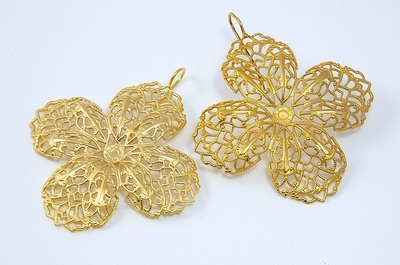 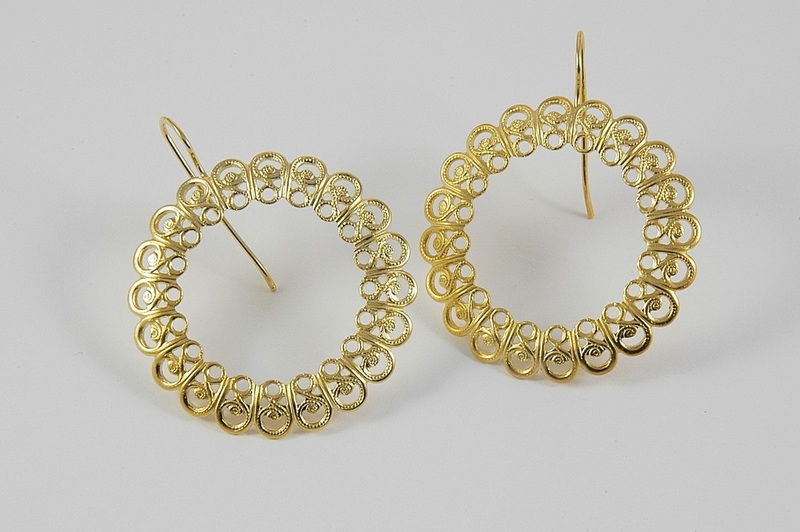 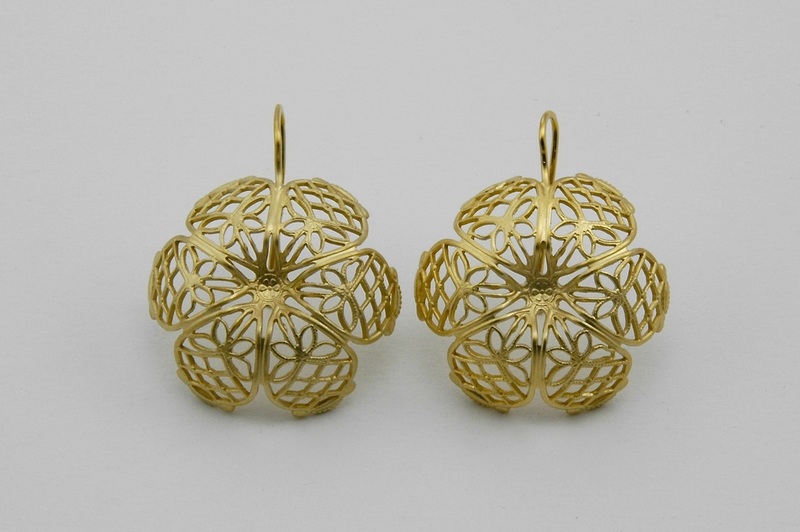 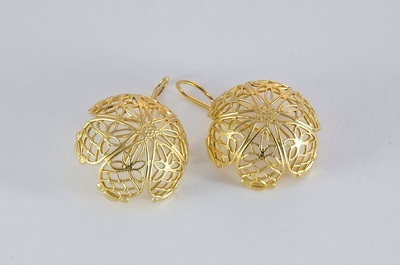 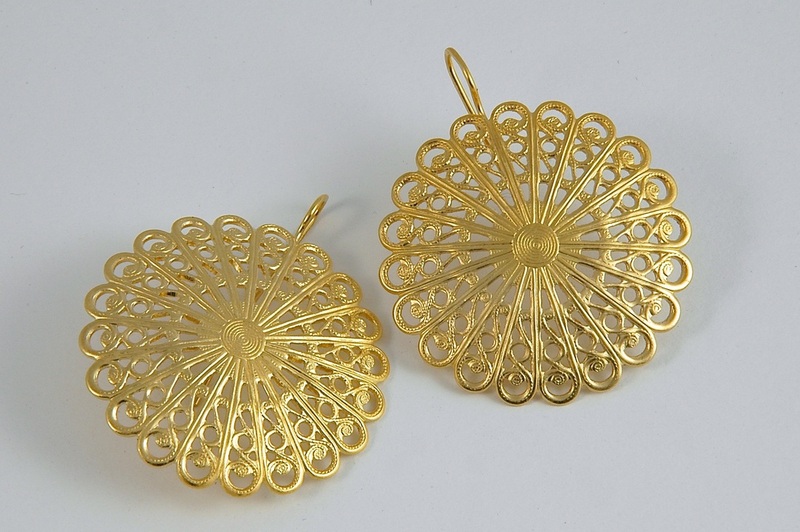 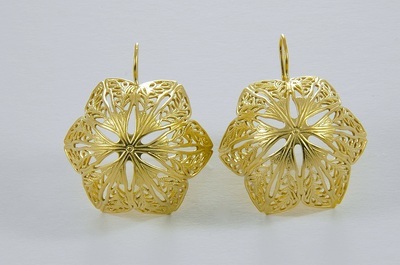 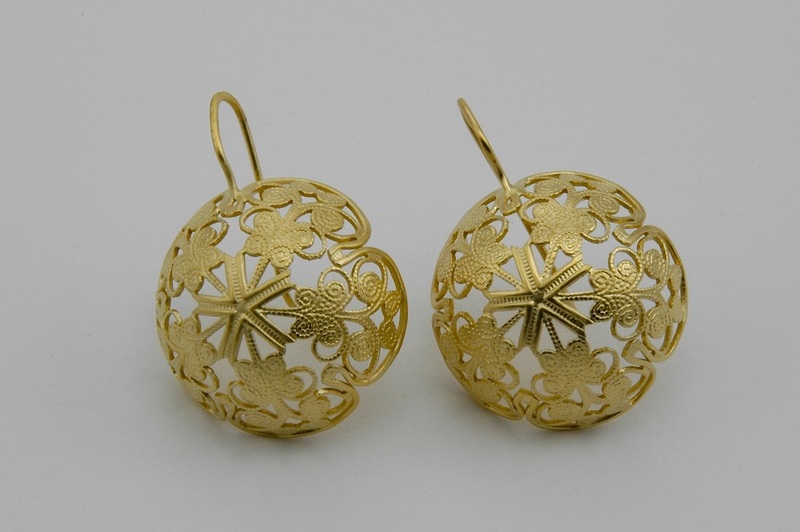 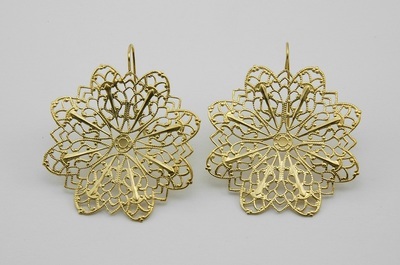 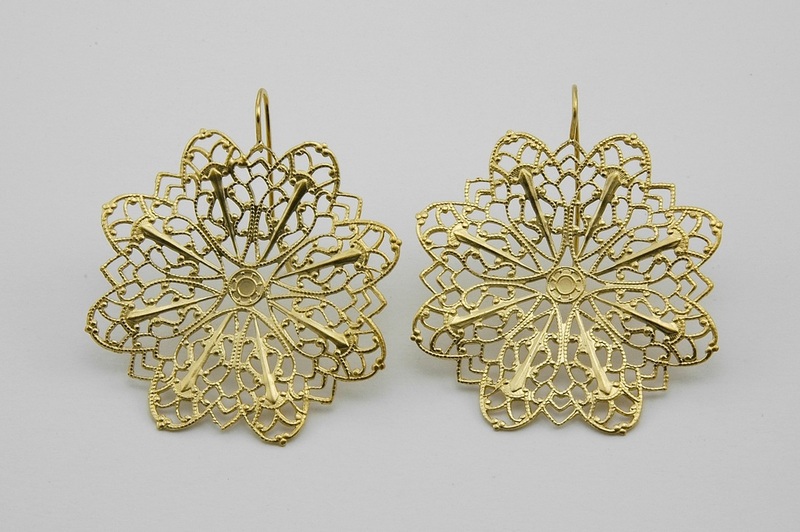 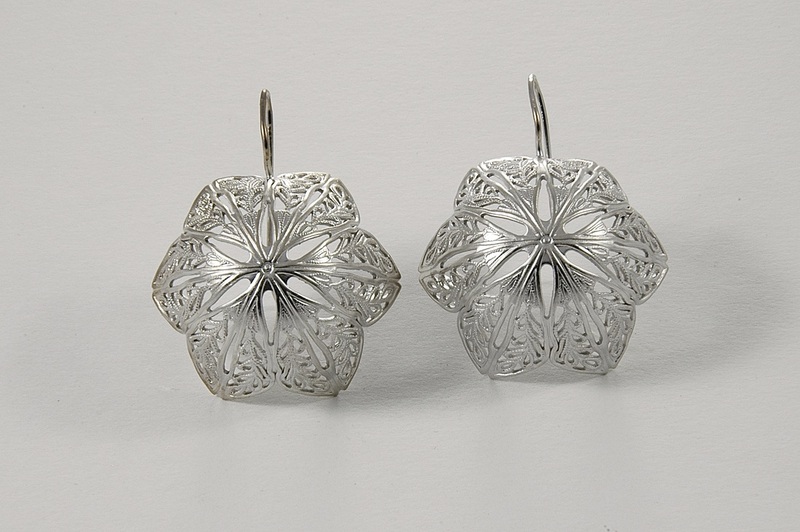 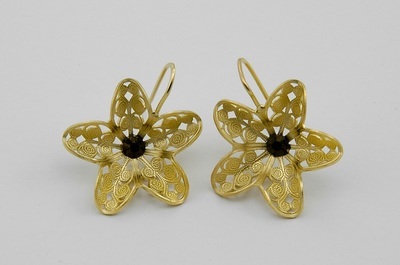 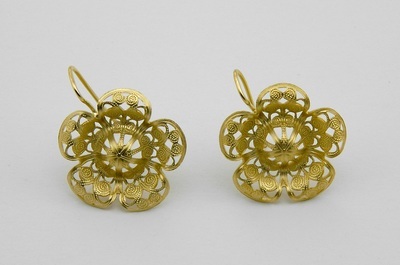 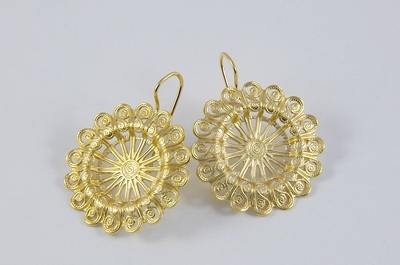 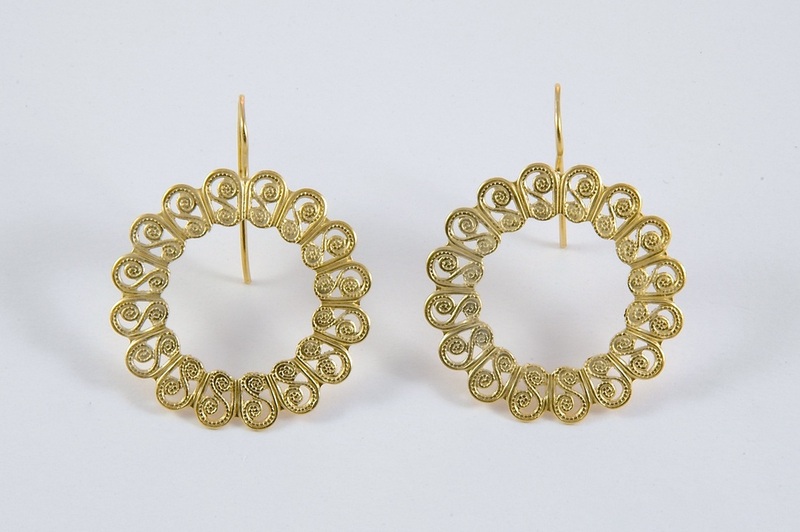 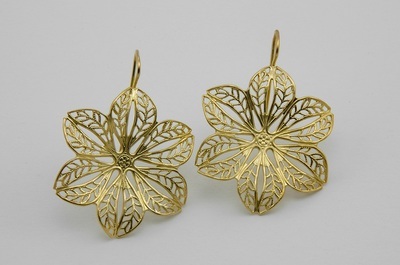 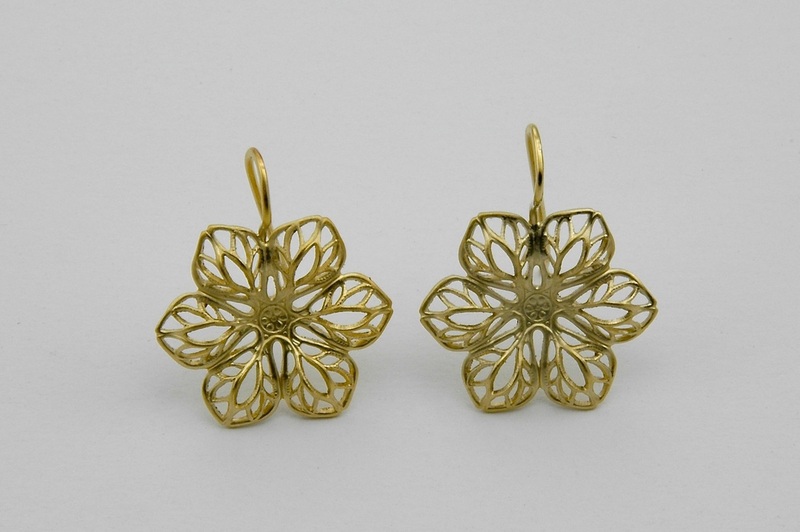 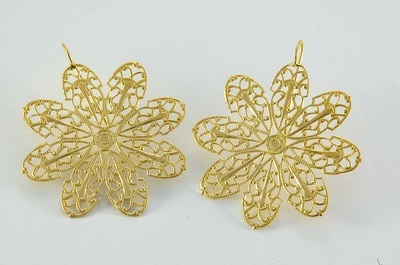 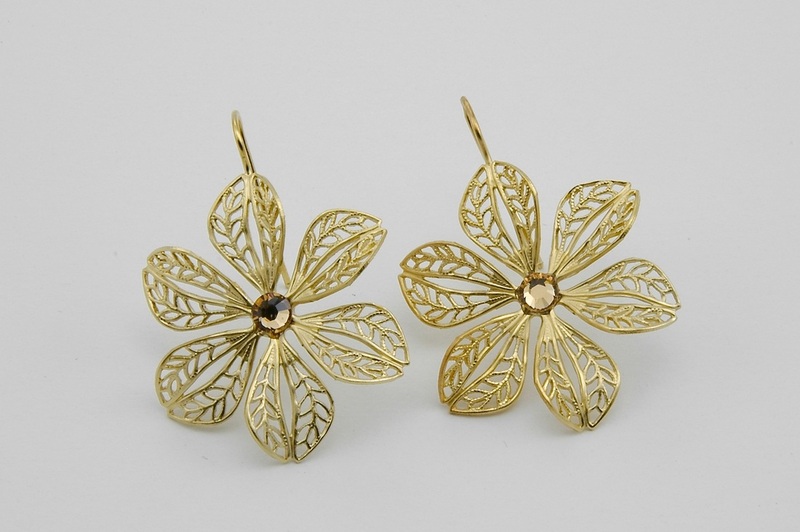 These earrings are often ready immediately in gold and can be special ordered in silver, rhodium, or 18K gold plated. 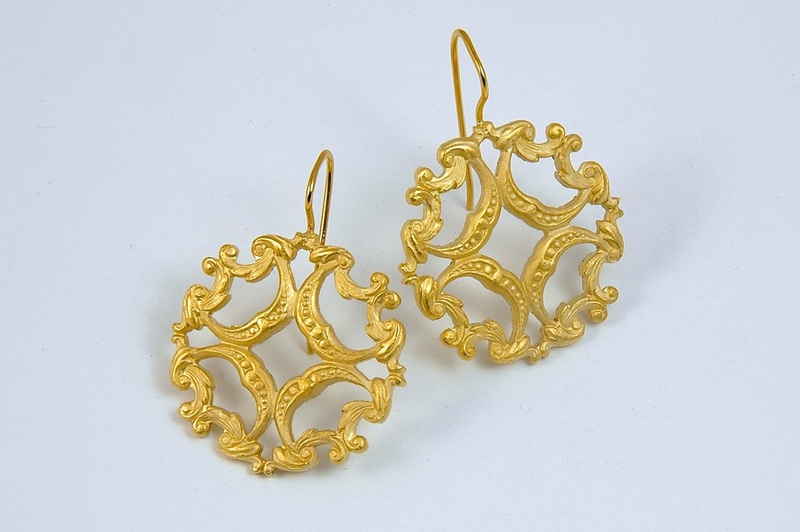 Stones may be used to embellish the centers, if desired.